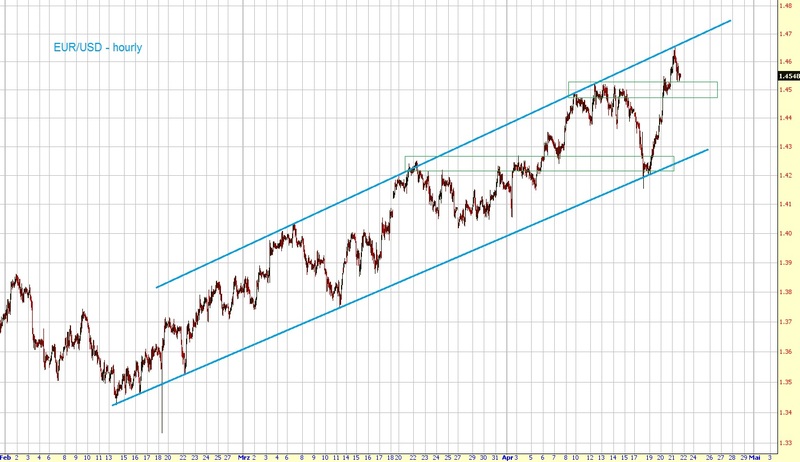 As said last weekend the 1.425ish area should be a strong support level. Early this week the EUR/USD tested the aforementioned level and since then we've seen a huge rally to over 1.46. As long as we stay within the channel I still expect to see a 1.5x handle later this year.